How in the world do you classify the more than one million species in the animal kingdom? 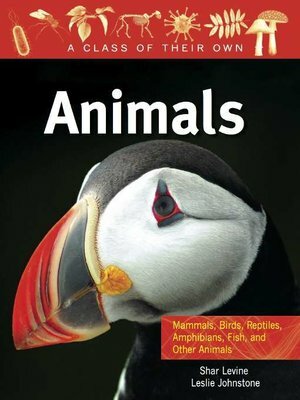 This fact-packed book divides animals into the major phyla, including chordates, arthropods, and mollusks; the major classes, such as fish, amphibians, reptiles, birds, mammals, and insects; and by critical features, such as cell structure and the need to feed. Fascinating case histories examine the discovery of new mammal species, the need to conserve endangered species, and using natural predators to control populations and preserve species and their environments. Special sections also highlight the relationships of animals with plants (food chains), bacteria (diseases), and Archaea (non-bacterial microorganisms found in the intestines of some animals).